If you haven’t read Gumboots, Gumshoes & Murder or The Dastardly Mr. Deeds, or are in the middle of one of them, then don’t read this Prelude as it will quickly give some clues away. If you have read them, then enjoy….the fun is about to continue and secrets are about to be unmasked because that is what Murder Most Fowl is – The Big Reveal! Betty flew out of the bed. She quickly slipped a sweater over top of her pyjama top and slipped on a pair of blue jeans. She snatched up her cell phone and Summer River’s ragged diary before racing down the stairs. Outside the sun was setting behind Watchtower Mountain. Stars were beginning to sparkle over head. Creeping shadows danced among the evergreens that lined the driveway. Betty felt chilled to the bone, despite the downy jacket and hiking boots she had slipped on before heading down to the Bristling Boar Pub. Vi had no idea how much danger she was is, and neither did her father for that matter. Betty increased her pace as she bolted down the hill, heading towards the landing. It got darker and darker as she ran down the gravel road until there was only starlight coupled with the muted glow from solar lanterns lining the odd driveway to light her way. How on earth was she going to tell her father that she suspected his best friend of murder? She tugged out her phone and breathlessly called Inspector Tom Powder, the lead investigator into the bizarre deaths of Summer River, Eliza Bone and Tiffany Hyde-White. She slowed her pace briefly as her call to the Inspector went to voice mail. Betty ended the call and increased her pace once again. Her knees screamed from the beating they were taking. Her heart pounded against her rib cage. Sweat poured down her face and soaked her flannel PJ top beneath her sweater and coat. At fifty-two, she hadn’t expected to be running a marathon, but she was glad she had kept up with her training, despite retiring from the force a few days ago. At the same time that Betty was racing towards the pub, the beginning of North Shore Road, a hippie girl with flowing skirts, brightly colored gumboots, dread locked hair, and a homespun coat of many colors was racing towards Betty’s house from her farm at the far end of North Shore Road, her two dogs galloping along beside her. Rainbow McDonald was fueled by terror. She ran as fast as her gumboots and skirts would allow. Her breath was a steamy cloud in front of her face. Her blue eyes were wild. The German shepherd, a failed airport drug dog who hated crowds, and the Blue Heeler, formerly man’s best friend, ran along on either side of the frightened woman. They smelled the fear oozing off her in waves and kept pace, knowing instinctively that this wasn’t a time to cavort into the bush in chase of the rabbits or deer that scattered before them as they ran on. It was in their nature to protect the pack and protect this woman they would, even if it cost them their lives. Rainbow raced towards the one woman she knew could protect her from the madness that had taken over her husband: Betty Bruce. The sunset dwindled behind her and she found herself cursing the dark curtain of night that descended quickly upon them. She had heard that Betty was living across the road from her father now and she recognized the metal gate that led up to Archie Bruce’s house. She jogged up the winding drive. She sighed with relief when she saw that the lights were on in Betty’s house on both floors. She stomped up the steps to the front porch and then knocked on the door. No one answered. She tried to push the door open in case Betty was upstairs, but the door was locked. Of course, she reasoned, Betty was used to living in the city and still had big city habits. She still found herself locking the door to their cabin at night, much to her husband’s amusement. An ear-piercing squeal and a long soft moo met her from the barn. Gertrude raced out to greet her, Peaches following solemnly behind. “Hey, Gertie, where’s your mum,” she asked the pot-bellied pig, the two dogs nosing forward cautiously. The German shepherd woofed; the Heeler whined. “Bear, Blue, I’d like you to meet Gertrude and Peaches,” Rainbow said, introducing her two dogs to the pig and cow. “Gertrude, Peaches, this is Bear and Blue. I expect all of you to behave. No head butting the dogs, Gertie,” she ordered the pig as the shepherd sniffed Gertrude’s underbelly. Rainbow was relieved when the pig appeared to listen to her. The cow walked forward, her hooves clicking on the cobble stone walkway in front of the barn. She and the Heeler met nose-to-nose. The cow bawled and the Heeler jumped backwards. Rainbow went around to the patio door by the kitchen and looked inside. There were no signs of movement. She knocked on the glass, but still there was no answer. She bit her lip and paced back and forth, unsure of what to do. Betty could be at her father’s house or she could be at the pub. Rainbow didn’t know who her friends were on the island so those were the only two choices she had. If Frank decided to try to find her, he would immediately try Archie’s and she didn’t want to be there if Betty wasn’t at her father’s place and Archie was alone. She had seen Frank like this once before when he drank, but even then, the violence in his eyes as he held the axe in one hand and the rope noose in the other was over-the-top. She suspected the back door and patio door would be locked too and was disappointed when she tried both and did indeed find them locked. Gertrude walked up to the back porch and grunted at her. “What’s that you say, Gert,” Rainbow queried the pig. The pig squealed, grunted and stomped one hoof. She then spun around and waddled back to the barn. Peaches licked her lip and followed after her friend. The dogs sat obediently, wagging their tails and waiting for instructions. Rainbow wrapped her arms around her waist and shivered. She didn’t know what to do, but thought that Gertrude’s offer to share the barn was the safest place for her and the dogs. “Here, boys,” she commanded the dogs. The dogs instantly raced over and sat down beside her. Rainbow rubbed their ears and under their chins. She entered the small four stall barn and looked around. One stall was filled with hay and a second stall with dry sawdust and a few bales of straw. The other two stalls doors were open, the pig and cow having free rein to go where ever they wished. Rainbow laughed. It felt good. It eased the tension in her back and shoulders. Being a pet psychic had its advantages and disadvantages. Being able to talk with Gertrude tonight made Rainbow feel much better. She knew that the pot-bellied pig and the two dogs would watch over her. Rainbow entered the stall where Gertrude had laid down in a large bed of straw. She snuggled in beside Gertrude and patted her lap for the dogs to come in and join her. Blue jumped at the chance and leapt forward, his ears flopping. He plunked himself down in the straw on the far side of his human and the pig. The Heeler then rested his head in Rainbow’s lap. The German shepherd yawned and circled a couple of times in the doorway. He laid down, resting his head on his paws, facing outwards, on guard and ready to spring into action if needed. 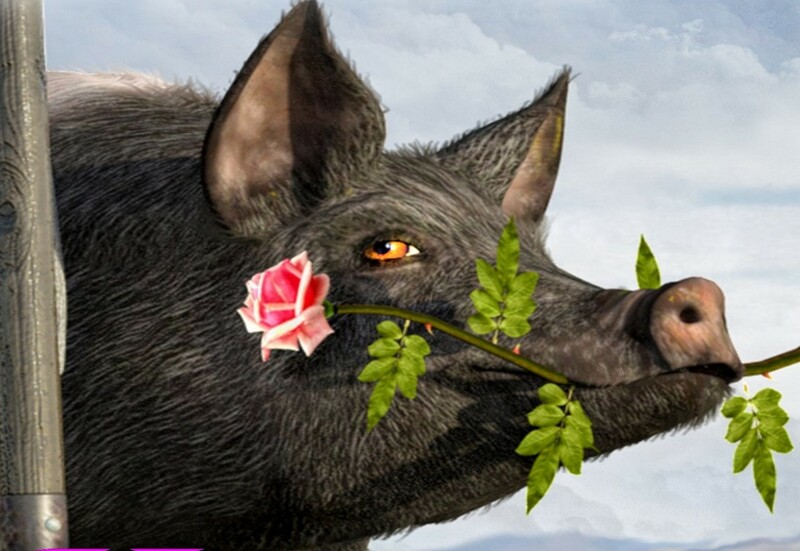 Gertrude nosed the delightfully smelling woman she had invited to stay the night. 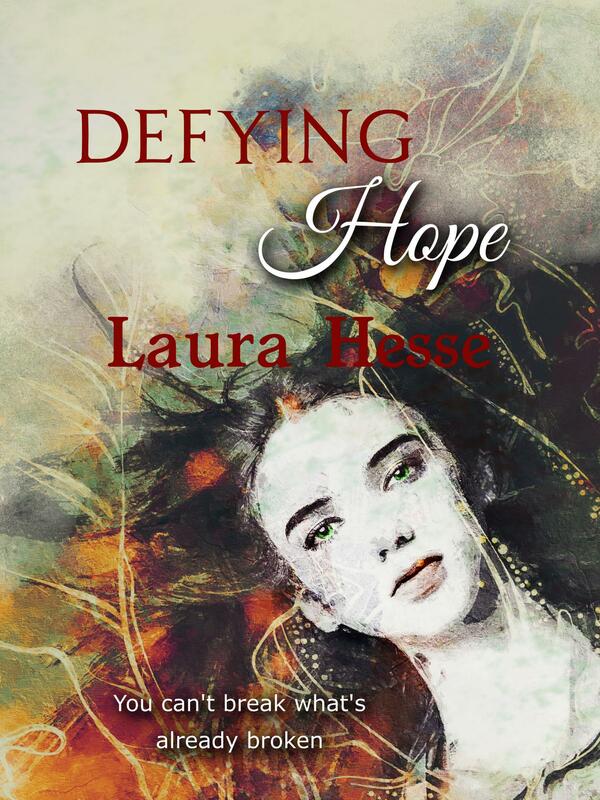 The delicious scent of yeast, wheat and butter drifted off her coat and skin. That coupled with the pungent scent of sage intermingling with the sweet scents of honey and cinnamon made Gertrude’s nose hairs quiver. It was too bad the woman didn’t have a dog biscuit in her pocket given that she had arrived with two foul scented dogs, but the pig was prepared to over look that given that she had helped Gertrude’s best friend, Peaches, feel better. Despite the dogs, the woman was welcome any time. Gertrude and Peaches had just gotten home from the pub when Gertie heard her friend, Betty, race out of the house and down the driveway. The pig supposed that she should have gone investigating or maybe should have run after Betty, but she was tired and no one at the pub except for her buddy, Reggie, had paid any attention to her head butts on the window. What was a pig to do without a pint of draft to help keep her warm on a cold spring night except to go home to a warm bed of straw? Gertie sighed and nuzzled the lovely new friend she had made. She may not have had a beer, but this was better than a pint anyway. It’s here! 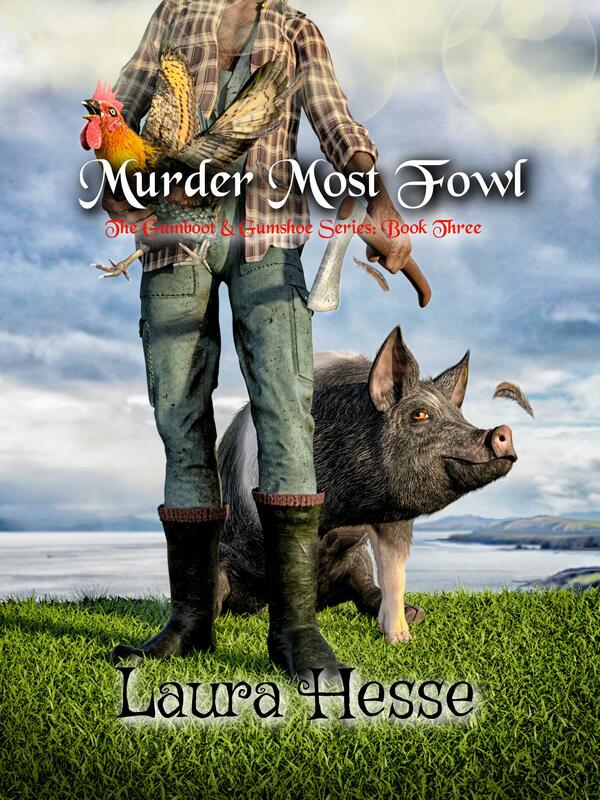 Check out the cover to Murder Most Fowl, the last book in the Gumboot & Gumshoe Series. A heartfelt thank you to the artist known as Autumn Sky who did the custom artwork. Secrets are revealed. Passion is ignited. Angels get their wings. Gertrude finds a new buddy in Betty’s new partner, a drug sniffing German shepherd named Champ.